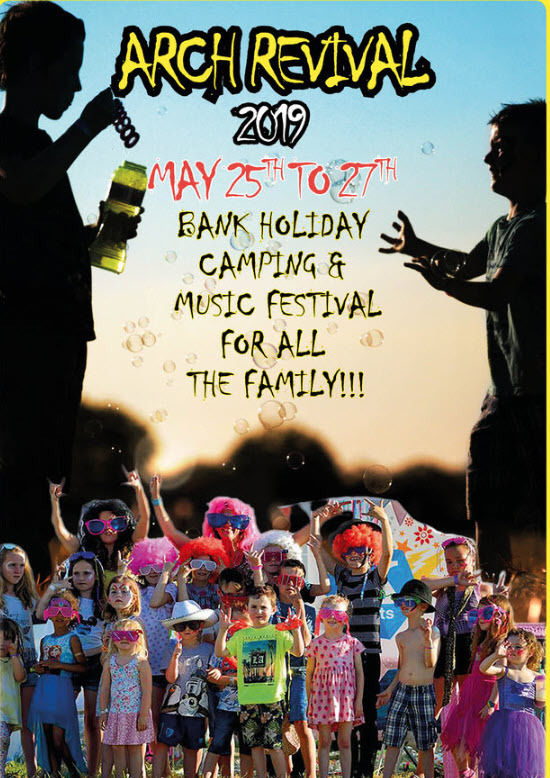 Aimed squarely at family camping fun, we bring you the most exquisite spot in Dorset, two nights of camping and three days of live music and fun activities for all the family. For the big kids in us, we have local cider and ale tents, vintage cocktail and prosecco and cocktail horseboxes, the best high-end local food producers and a huge array of dazzlingly talented folk to help you party into the evening, an amazing lineup of top end musicians, from country rock to beatbox funk, an eclectic cultural mix of clothing, poetry and back to basics 70’s funk DJ’s, all coming together to create a mystical magical wholesome weekend of fun. The Saturday is all about relaxing with friends and family, with a few tunes and a little forage into the unknown, Sun/Mon is live music from over 30 bands, silent discos, silent yoga, drum circles, 20 DJ’s (old school funk and happy house) and beautiful scenery and chilled out like-minded folk.